Those five magic words sum it all up for me with photography: “It’s all about the light!” Whether sunrise to sunset, the light is the key. But truth is, with shooting after dark, it is also all about the light! I think I have always been infatuated with shooting after the sun goes down but things have changed so much, especially when digital cameras arrived many years ago. Playing around and experimenting with different light sources can open up a whole new world with shooting after dark. 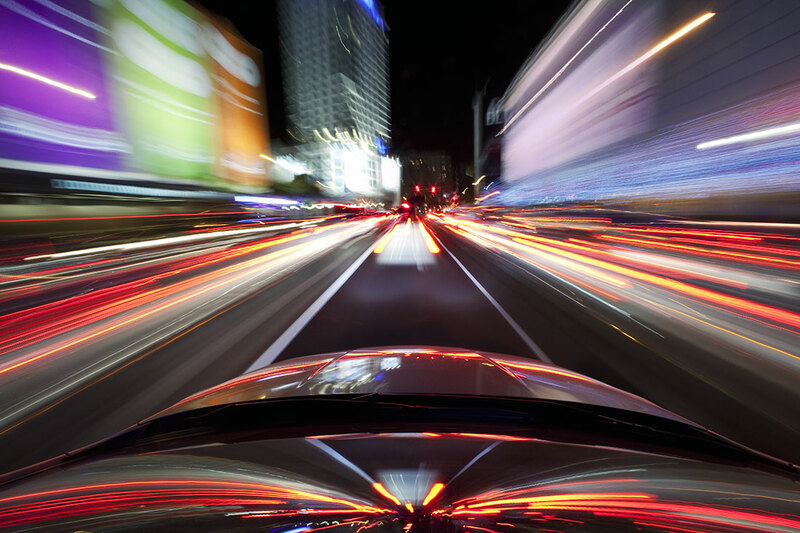 With your LCD screen, you can instantly see how your nighttime endeavors are working. In this article, I wanted to talk about some of the different ways to capture images using different lighting ideas and methods and the endless possibilities that await anyone who has a desire to shoot after dark. I have always experimented with so many different techniques and taught many different courses specifically on shooting after dark and I hope to show what you can achieve out there and why you might want to choose one method over another. When I am planning to shoot after dark, there are so many options and some might work better than others. 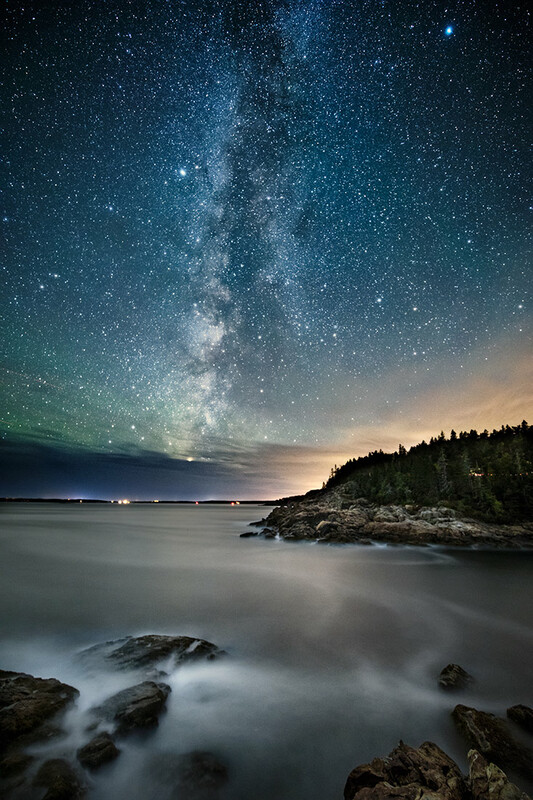 You can for example; shoot the Milky Way without any light on the foreground and the Milky Way and night sky become the only real light source in the image. 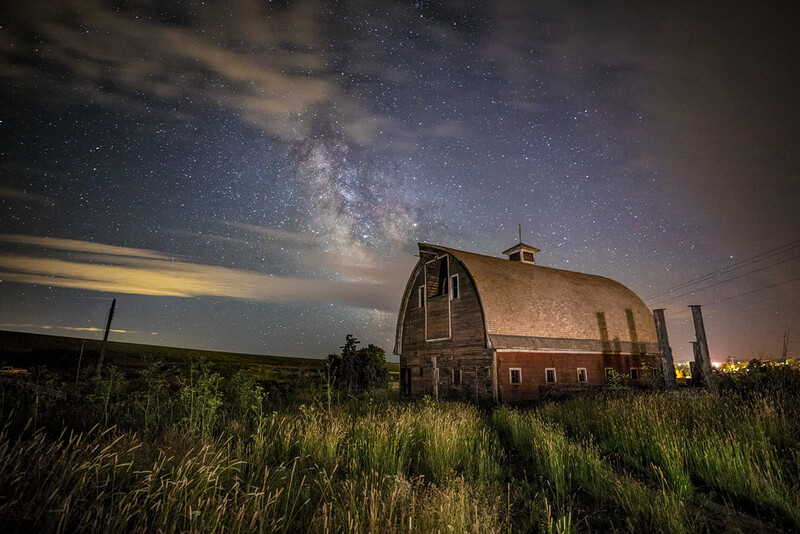 You could also try different lighting techniques for the foreground that might add a completely different effect to the image of the Milky Way. Shooting after dark opens up a whole new world and experimentation really is the key. A lot of trial and error can add up to some great techniques that can really change your attitude about bringing out that camera after dark. Artificial light sources like mercury vapor, etc. The sky really is the limit and I wanted to show some different examples on why you might want to try different methods and also open up your mind to trying different things after dark like car trails or lightning. So many different things that you can do after dark but also different techniques to give you different results. You will get out what you put into it and eventually, you will have new ideas to try in many different locations, anywhere in the world! The definition of photography is actually “painting with light” so I guess we have all been “lightpainting” since we started shooting. I have been experimenting with different light sources, and playing with lightpainting for as long as I can remember. I’ve tested out an incredible amount of flashlights and light sources throughout the years and they can really be a complete game changer for your images. If you haven’t tried to use different flashlights in some of your images after dark, it is something that can be a total game changer. One important note to remember: try and always lightpaint from the side as frontal lighting is way too flat! 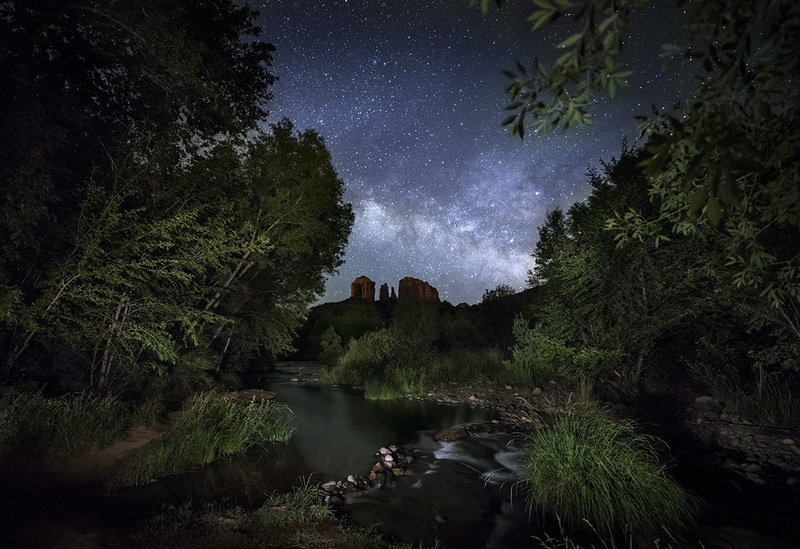 A few weeks ago, a friend and I shot Cathedral Rock and the Oak Creek River, where I live here in Sedona. I wanted to test out a new flashlight and do some light painting and also shoot a similar image with only the moonlight. We were in complete darkness when we arrived at 10:30 PM by the river and we set up to do light painting with my new light. When we finished those images, I shot star trails until the moon came up and then I changed my exposure and only shot by moonlight. So I actually came away with three different shots that night but my main test was comparing light painting against moonlight and what a similar shot might really look like between both light sources. Below are both images, the first with only lightpainting and the second with only moonlight. I used a layer mask to paint in the moonlight on the second image so you could see exactly the difference. They both look pretty cool and this turned out to be a good eye opening test for us! The third image is one with star trails and only moonlight, which I also like. By comparing the first two images above, you can really see the difference between using a flashlight compared to using the moonlight. I knew by getting there before moonrise, that I could try both of these techniques from the same location. That is something that I love to do as its sometimes hard to know which camera technique might be better for a particular image. Sometimes I prefer light painting and sometimes I prefer the moonlight or another technique. 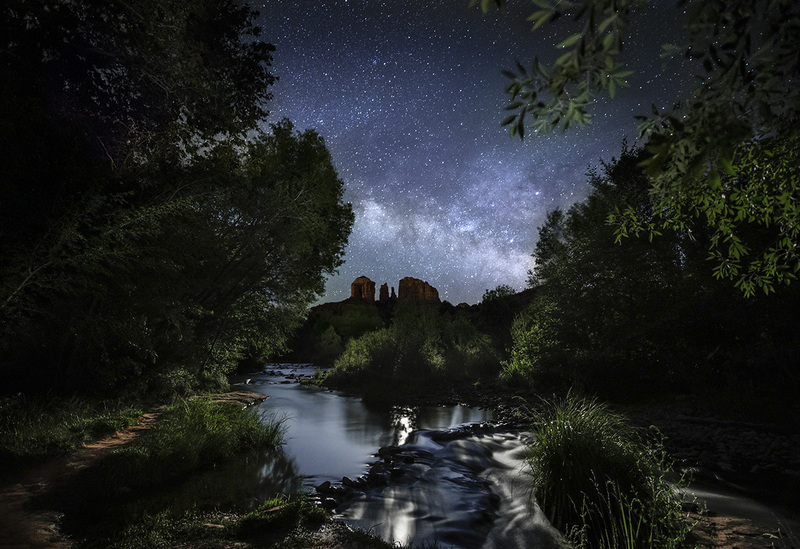 The next image, is another one I did here in Sedona in the exact same way, but in reverse. 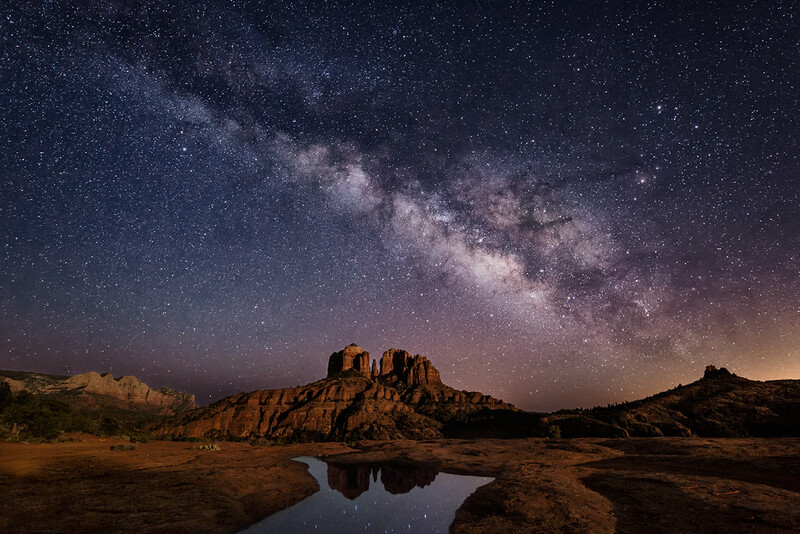 I went out with a friend around 1am to shoot Cathedral Rock, from a different vantage point, and we shot first with moonlight and then left our cameras in the same place until the moon went down around 2:30am and then we shot the Milky Way. Later, when I worked on the images, I layer masked them together in Photoshop. I knew with this setting that I could never lightpaint the red rocks nearly as good as the moon could light them. Sometimes it’s pretty obvious that the moonlight will work better than any kind of light painting. 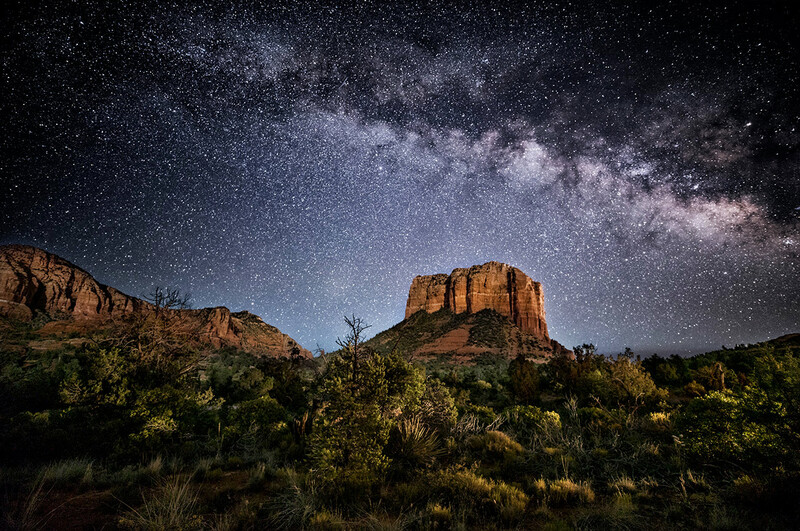 In the image below, also in the red rocks of Sedona, I planned on capturing a panorama of the Milky Way, just before the moon went down, so that I could get beautiful moonlight all across the red rocks. The moon was less then half full and if the moonlight is not too bright, you can combine everything in the same shot so that you don’t have to do any layer masking and do multiple images. 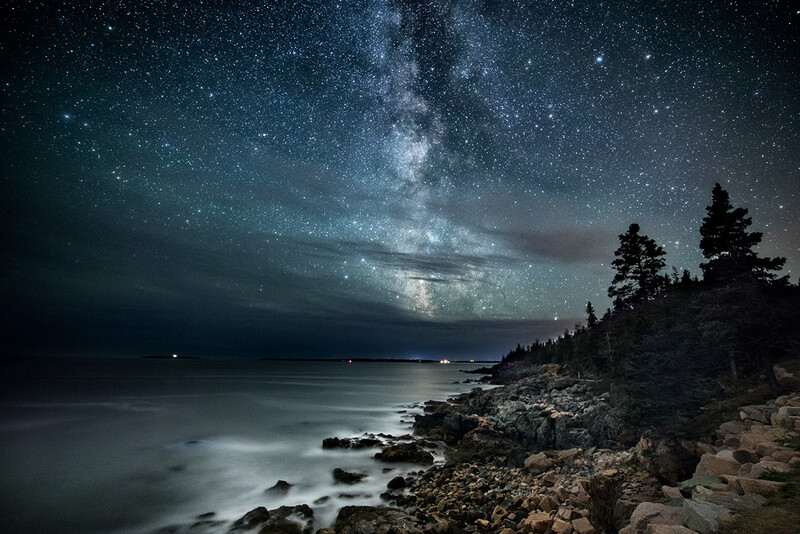 It is also crucial that the moonrise or moonset is as far away from the Milky Way as possible. Moonlight by the Milky Way can ruin the image. Milky Way panoramas require more work but I love capturing them as all of the work is worth all of the effort! Below are more examples of lightpainting only, where it was completely dark out except for sometimes possibly distant lights. The only real source of light was my flashlight and sometimes the light painting can be for the main focal point or can be just for the foreground. I have many kinds of flashlights with different power intensities and color temperatures and finding the right one for a particular image is key. Sometimes, I like to include people in my after dark images and there are different ways to do that, usually with light painting. But I also like to use the light from a cellphone or iPad and you can come up with some pretty creative after dark images this way. The first image below was a two minute exposure in complete darkness at a junkyard. I positioned the two people just where I wanted them, while I had my headlamp on and then turned off my headlamp. I told them not to move for two minutes, which was not easy, but I knew in my head exactly what I wanted to capture before I set them up. I used a very low powered flashlight to paint them as low light is crucial with shots like this. It usually takes about 10 or 12 attempts before you get something you like, but the payoff is definitely worth it and I captured exactly what I had envisioned. 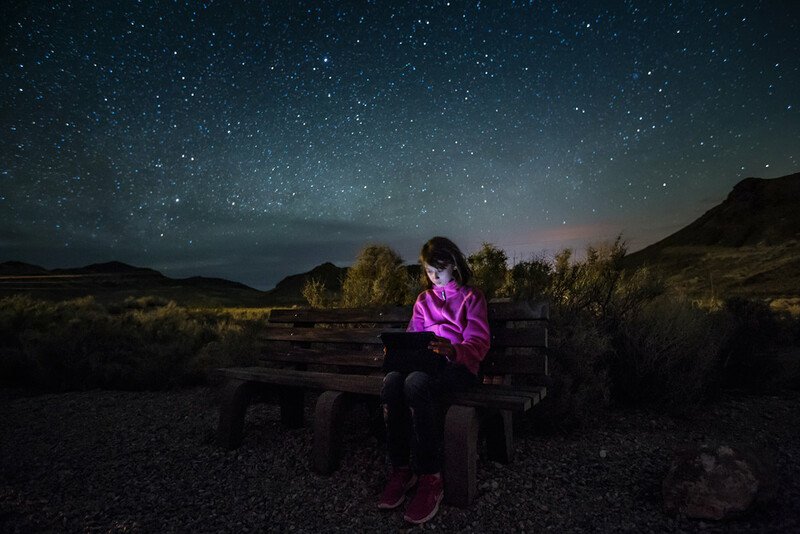 With the next image below with the young girl, we were in Death valley on one of my workshops. I placed her on a park bench in a perfect location and I lit her with just her iPad to illuminate her red fleece and her face. I knew how the shot would come out even before I took the photo. With enough experimenting, you can predict your results. And she got a pretty cool portrait from that fun night under the stars! I have experimented with light painting and car headlights for many years and sometimes, the lights from car headlights can be absolutely amazing. Often, while I’m in the middle of shooting a shot after dark, and using my flashlight, a car will drive by somewhere close by or in the distance, and sometimes it can ruin the shot but sometimes you get what I call a “happy accident”. It can give you a look and feel that you really could not have gotten any other way. Often I hope a car will come into my night shot and other times, I have to have someone drive their car to get the look and feel I am hoping for. 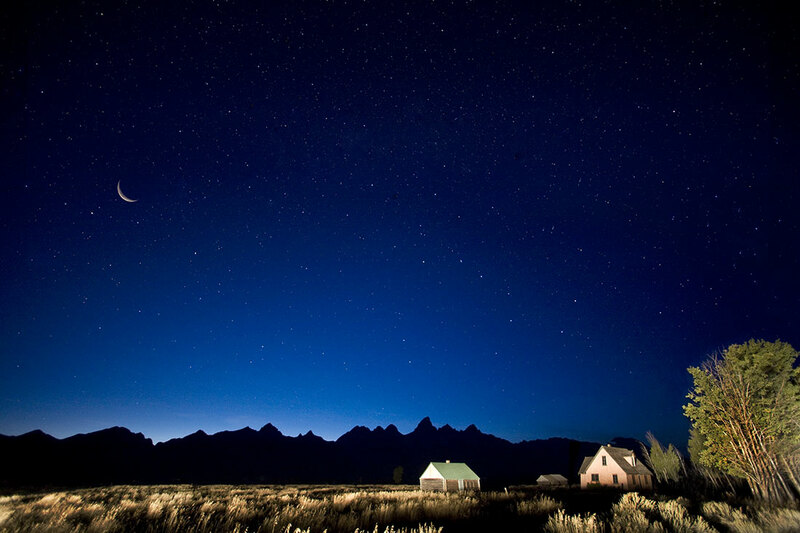 The shot below of the Mormon Row Barns and Tetons in Jackson Hole Wyoming, we were teaching a workshop and how to light paint the barns and houses. Out of nowhere, a car drove by and his lights lit the bushes and houses just beautifully. He drove towards the homes and then turned left and was out of the picture as fast as he came into it. Although we tried to re-create it afterward with our own car, we could not get the same beautiful look that he had given us by accident. I love car headlights and sometimes, like I mentioned, I have students or friends drive in the perfect spot or I will wait for a car to drive by, although sometimes you have to wait forever for a car to pass by. But for me, it is worth the wait. 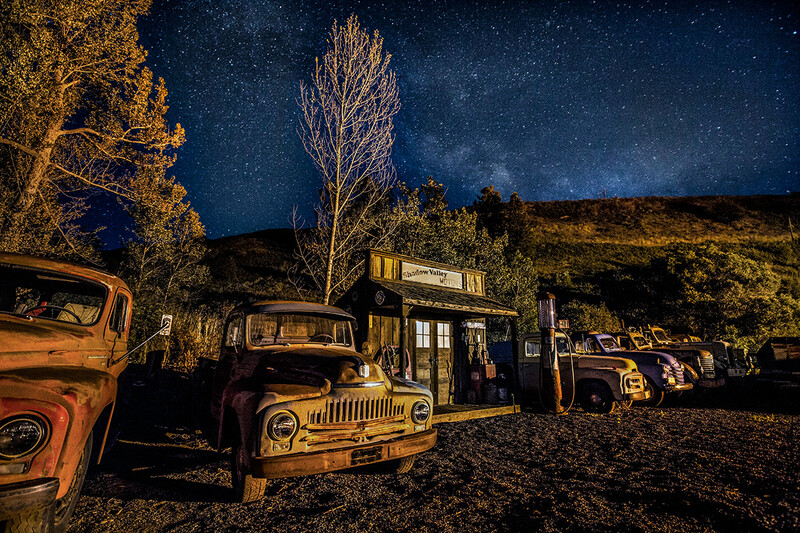 The following two shots show the difference between using lightpainting and car headlamps. 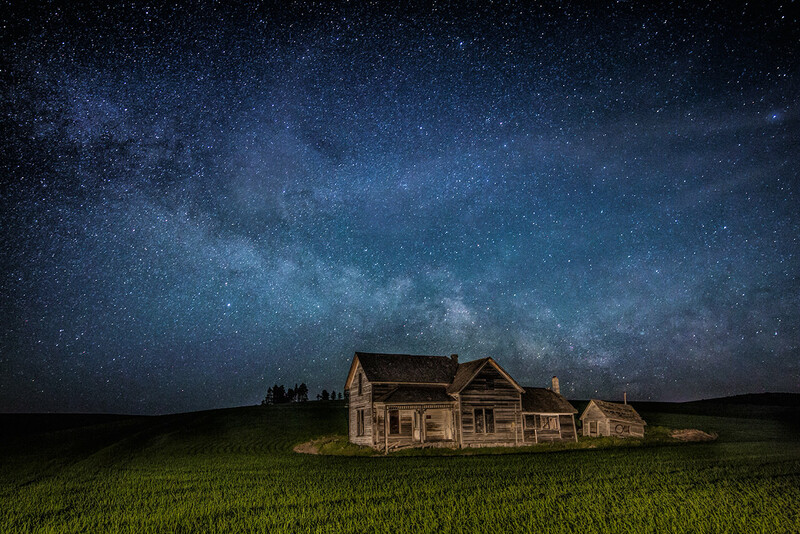 The first image below with the Milky Way is one in the Palouse of my friends old abandoned house using just my flashlight. 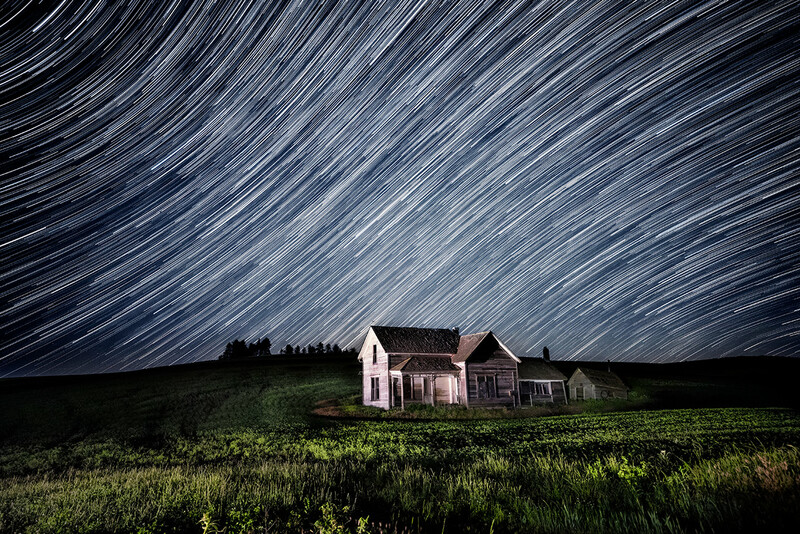 In the second image below, I shot star trails with my students and I had my friend drive about a quarter mile away and talked to him by telephone, and guided him to drive to the perfect spot to give me a great light source and angle with his car headlights, all across the wheat fields and the house. 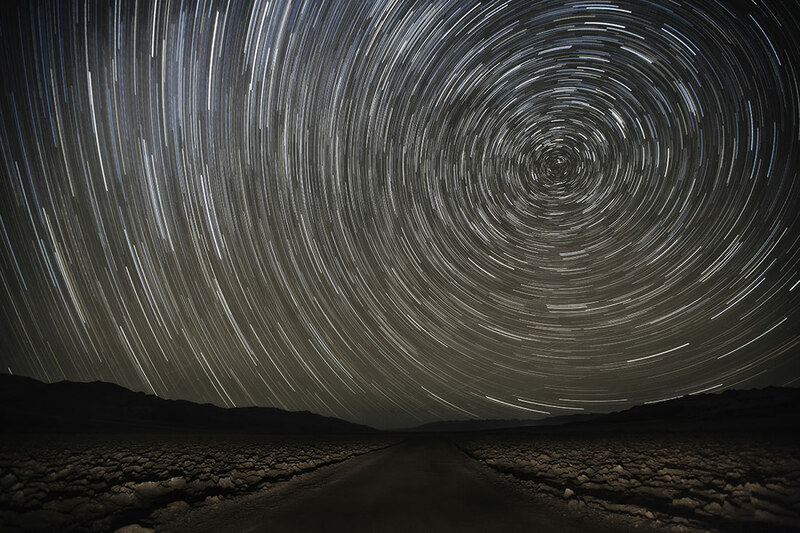 We shot that shot first before the star trails and later used that to layer mask it into the star trails final shot. 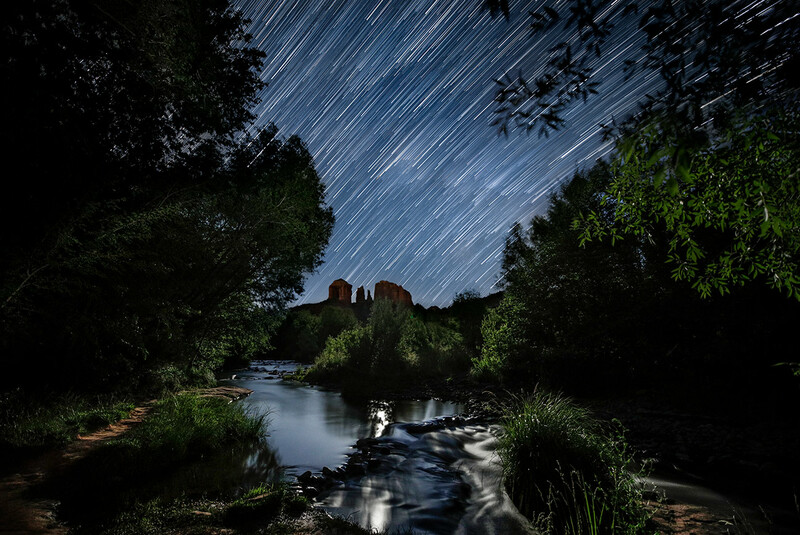 The following image with the star trails was one that I did recently with my students on one of my Italy workshops. 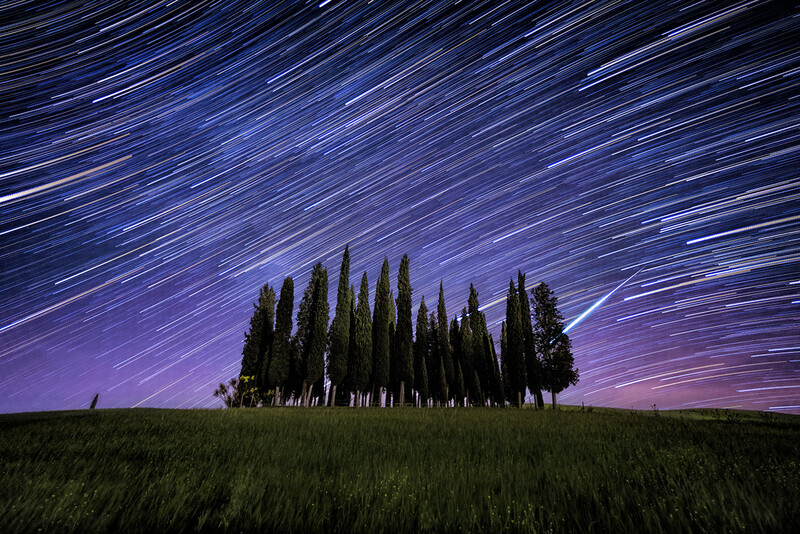 We were in Tuscany and I wanted to shoot the Milky Way and star trails over the famous Cypress Grove. I had been lightpainting just the field in some of the Milky Way shots but I realized that I also really liked when cars were driving by on the bridge and their headlights lit up the foreground beautifully. I decided to use one of the headlight images for the foreground rather than my light painting for my final image as sometimes you just can’t be as good as headlights. While we were sitting and talking in the car, waiting for our star trails images, I later found out that I had captured one of the biggest meteors of my life. I wish I had seen it with my eyes but was extremely happy that my camera had captured it. 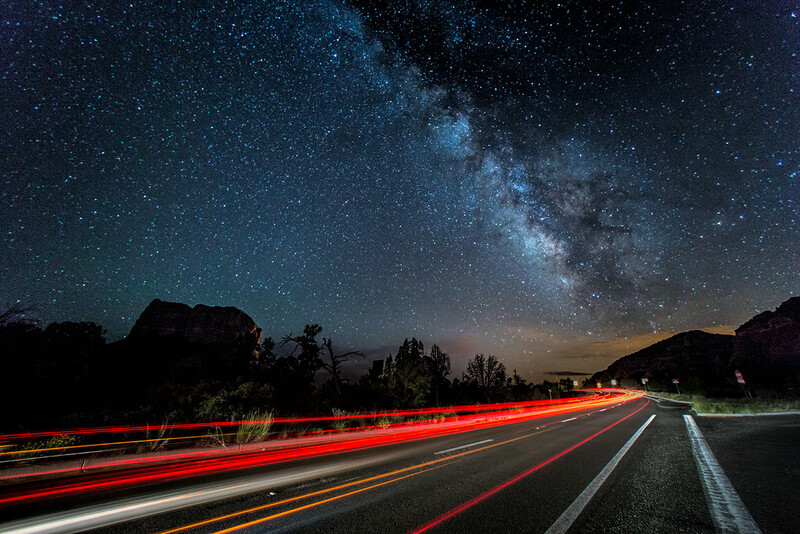 I later put the star trails and meteor in the same image along with the car headlights image as the foreground. Was one fun night in beautiful Tuscany! Sometimes I really like to use my car’s headlights so give me something special and I place my tripod right in front of my car with my headlights on. That was the case for the following shot when I was shooting the Milky Way with some of my friends above Flagstaff. 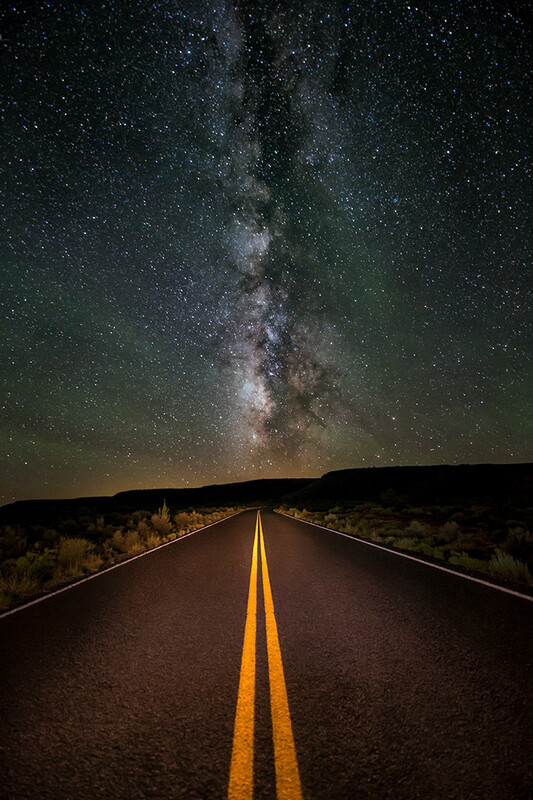 I was looking for a perfect road that would coincide with the Milky Way coming straight down. When I found the perfect intersection of the two, I stopped my car and put my tripod in front of the car, between both headlights. I then worked the exposure so that my friend would turn on and off the headlights precisely so that I would get a perfect exposure overall. I could have also tried this with light painting but sometimes there is something just magical about car headlights! In this next image, once again a car did a better job overall then my lightpainting as he drove in from our right and with his super bright headlights, gave me just what the doctor ordered! 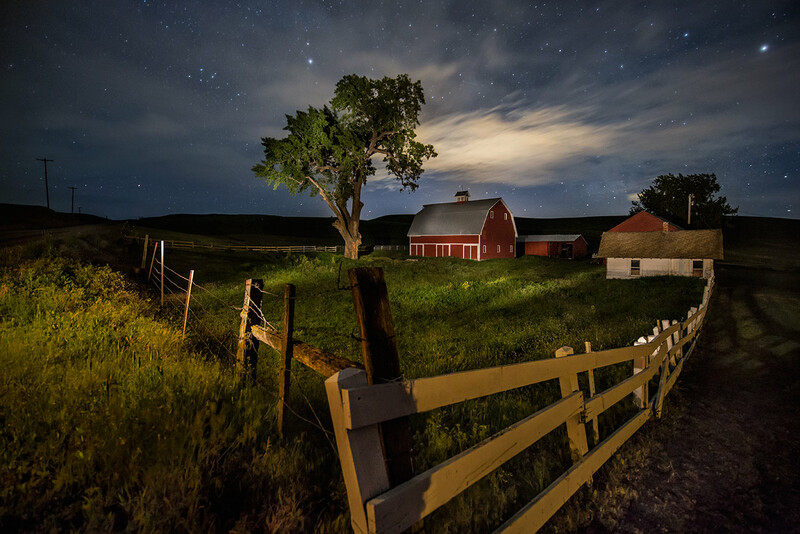 Another great way to capture powerful images after dark, especially with the night sky is to do separate shots for the foreground and the sky and overexpose the foreground image. You can also have a sharper image overall by focusing on the foreground image separately before shooting it or even do multiple shots and focus each one separately and then focus stack them. I use the app PhotoPills to let me know what the correct exposure will be for the foreground image, depending on how much I want to overexpose the foreground. Using a layer mask to paint in your overexposed foreground is a great way to eliminate a nice amount of the darkness that can overwhelm large parts of our images. It’s more work, but often it gives a more powerful and realistic looking image. You have to be good at masking and knowing something about channels definitely helps, when you can also use plug-ins like Topaz Remask that can definitely make life a little bit easier. Below are a few examples of overexposed foregrounds that I combined with the images of the sky. 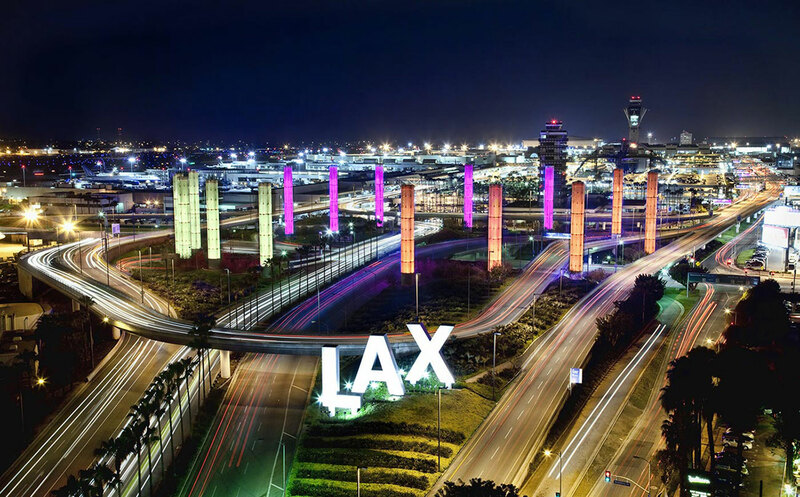 Often, you don’t have to worry about light painting or the moon or anything else because there might be nearby light sources such as mercury vapor, halogen, metal halide or other lights that might be in the perfect position to give you some beautiful lighting. I look for this all over the place and often, the light level and color temperature from these light sources can be absolutely fantastic. Sometimes though, they might be a little bit extreme and that’s when you can do a little bit of selective changing of their brightness and color temperatures in postprocessing. But I love looking for these possibilities all over the world and the following images show a few different examples. The first two shots, on my friends property, were from a very powerful mercury vapor light high up on a post above the property. 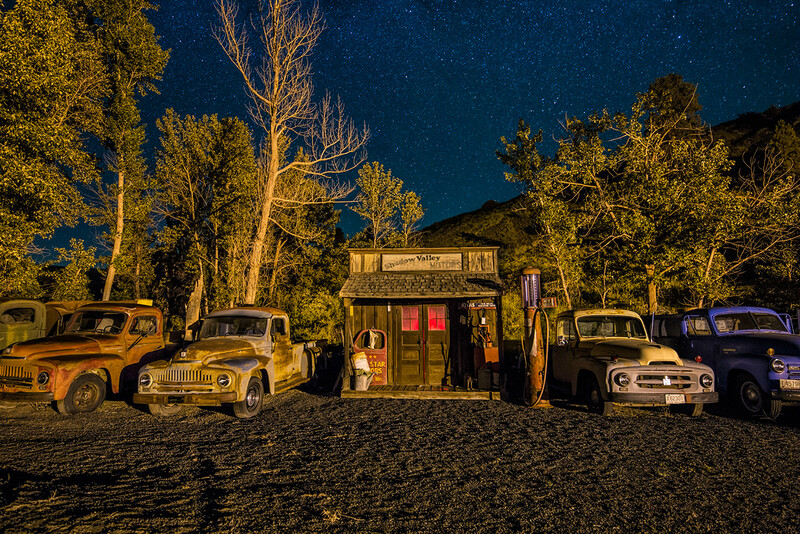 That huge light lit up all of his antique trucks and vintage gas station, and I was able to balance the exposure with the night sky. I also put a red headlamp inside the gas station on the second image to give a nice glow inside. In the next image below, I was on my recent Italy workshop in Venice, where I showed my group how the light from the lamppost, by the gondolas could give a beautiful quality of light all across the gondolas. I told them they could also include the light in the overall composition as sometimes that can at a great focal point. But we really got lucky when lightning started in the distance, and I made sure their settings were set correctly for a longer exposure so that we could all capture the lightning. Was a pretty rare experience for Venice and we were in the perfect place at the perfect time! 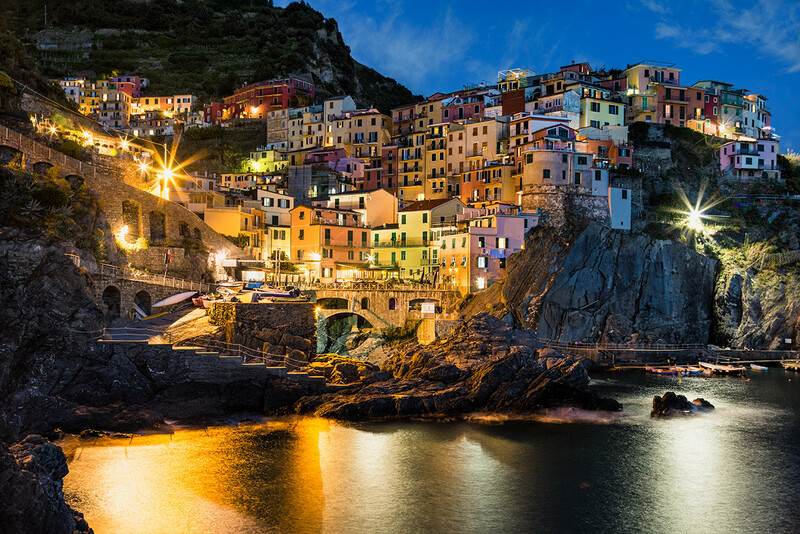 In the next two images below, also in Italy, the powerful lights above Manerola in the Cinque Terre and the Grand Canal in Venice, gave a beautiful and ethereal light quality everywhere, but especially in the water. Reflections from artificial light sources can be just off-the-wall gorgeous, especially in unique locations. Scouting out locations is key. 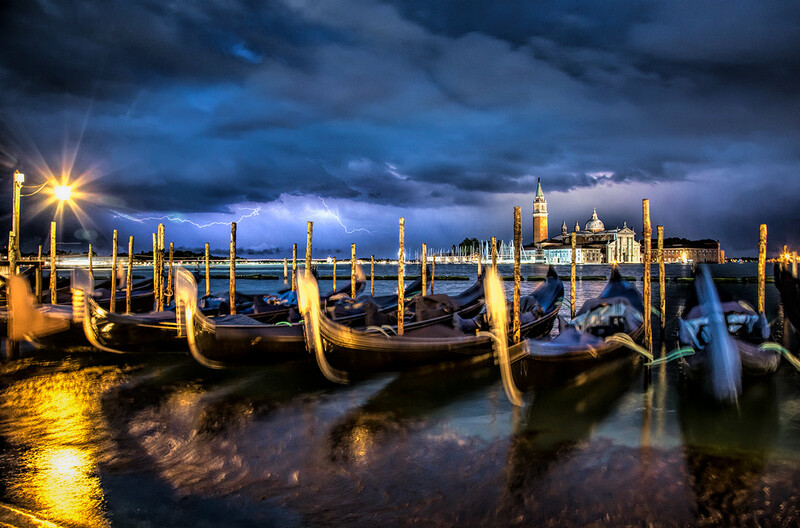 As in the image above in Venice, lightning is another great way to capture powerful images, especially after dark. Although I have shot many images with lightning during the day using my lightning triggers, the most powerful ones for me are right after sunset and well into the darkness. My favorite trigger is the AEO Pro 4 and it is a dream to use. 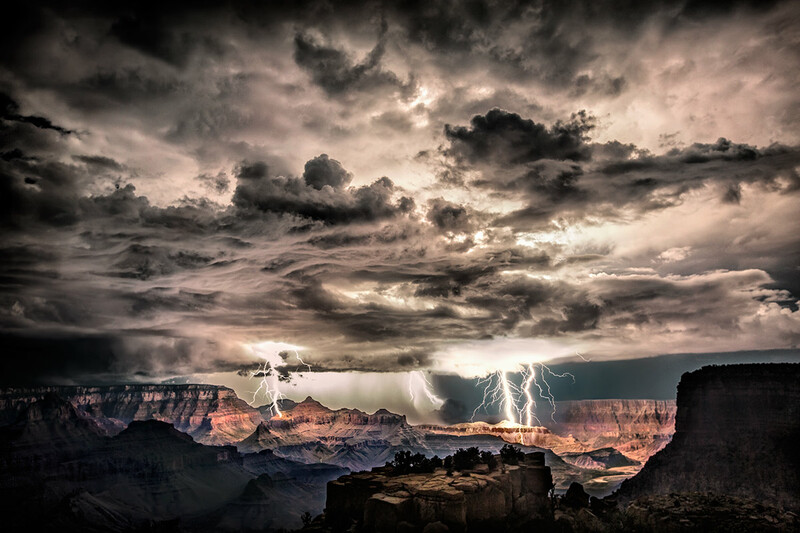 It helped me capture the image below in the Grand Canyon which later became a double page spread in National Geographic. Although I love using my trigger, you don’t need to use one as you can try different exposures until you nail the right exposure. 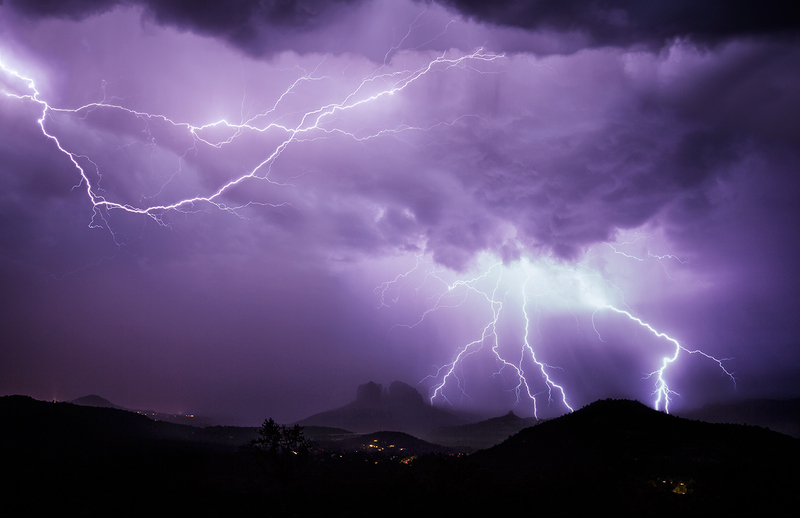 But even using a cable release locked down, capturing lightning might be easier than you think. Exposures can definitely vary, especially on how far away and how bright the lightning is so you have to monitor your results. Quite often, the bolts will light up much of the scene in unique ways that can give you images that just defy imagination. You do have to be careful as lightning can kill, so you cannot be too close. And sometimes, it can be awesome to capture and other times, not too good but when you capture some great bolts, it really is like nothing else! 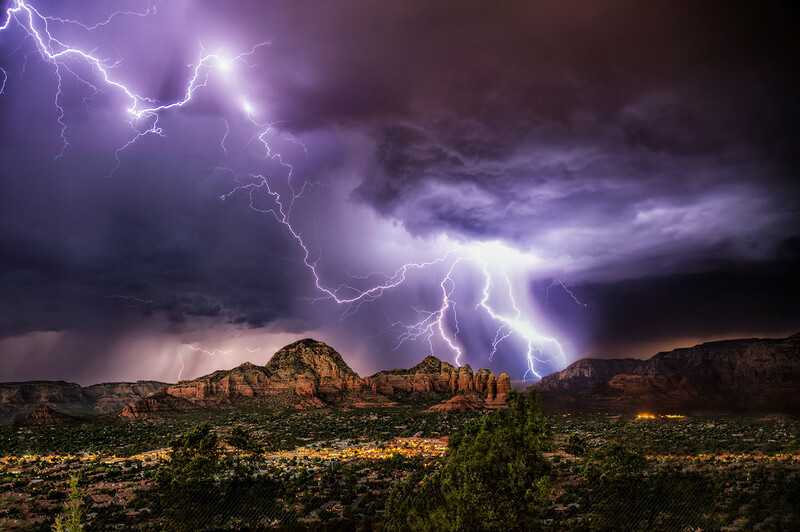 The following images are from here in Arizona where the monsoon season of July and August, bring some of the most amazing lightning storms that you could ever imagine! The first two below are in Sedona and the third one is one amazing time shooting lightning for two hours in the Grand Canyon. One thing I absolutely love shooting all over the world after dark are car trails. They are totally different from star trails and the night sky, lightning or just about anything else. You can be almost anywhere in any city and as long as you have your tripod and what looks like to be a decent exposure, you might come away with something very unique. I have been shooting car trails for about as long as I can remember and was lucky enough for Canon to do a six page article and give me the cover for EOS magazine with the entire article on capturing car trails. This kind of shooting is definitely addicting! 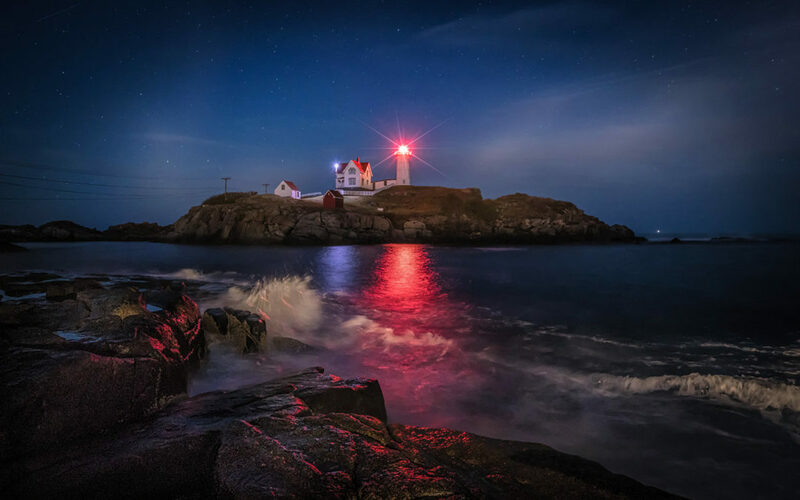 You do have to pay attention to your exposures, as long exposures with headlights and taillights might overexpose other parts of your image, and of course that stabilizer has to be off as with any long exposure but the payoff can be some pretty powerful photographs. Below are a few examples of different ways to capture car trails after dark and for me, it’s all about being at the right place at the right time. In the first image below, I wanted to create a Warp Speed look from the movie Star Wars, and I attached suction cups to my Canon camera. With my sunroof opened, I put the camera between my sunroof and the windshield and used a cable release that I could trigger while I was driving. I waited until the Laker game was finished in downtown LA, as that gave me tons of traffic and along with the colored buildings, street lights and billboards, I captured a pretty unique perspective of downtown LA! Sometimes I want more powerful car trails and a large bus or truck can be just the ticket. You have to make sure your exposure balances out but when it does, if you are in the right place at the right time, you have a good chance at creating some pretty magical shots! 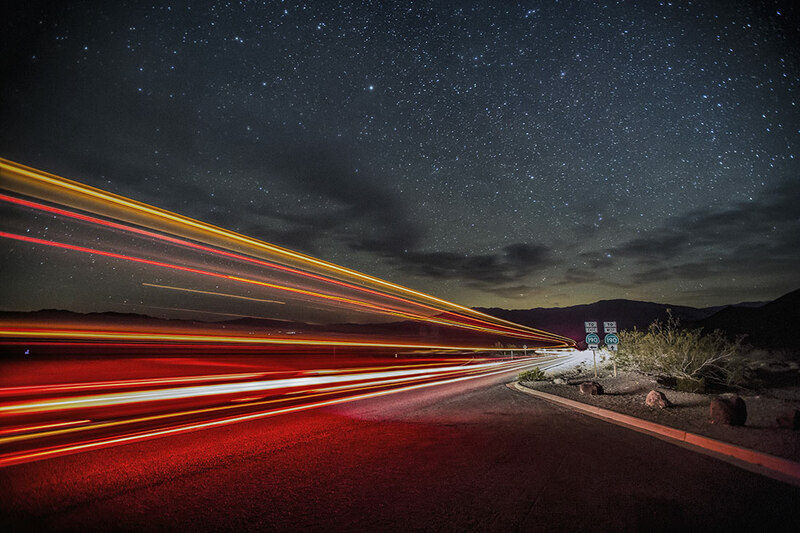 The first shot below was in Death Valley on one of my workshops and while shooting the night sky with my students, a huge big rig came out of nowhere and stunned all of us. Since we were already set up to shoot 30 second exposures of the night sky, I had them quickly move their tripods to the direction of the road and fire off their shutter as fast as possible to capture all of the truck trails. We had to work insanely fast but were able to get the entire truck trails along with the night sky. In the final shot below with the Eiffel Tower, I waited for large buses to go by me and get into the perfect angle with the Eiffel Tower in the background. I angled my camera also, as quite often, Eiffel Tower shots look better in magazines at a nice angle. I was also a little too close for comfort to the buses and traffic but sometimes with car trails, being pretty close can make all the difference in the world. But safety is always on my mind shooting anything after dark. Great images can be captured all over the world, limited only by your imagination and how much effort you are willing to put into it. Once you try one method, don’t be content with that but think of other ways to improve on it and try even more ways. That’s what I’ve been doing my whole life and I realize that the sky is the limit with so many parts of your photography. Experimentation and imagination is the key and thinking outside of the box is what it’s all about. “Think different” as Steve Jobs said. Keep that in mind whenever you are feeling a little bit bored with your photography. And I have not even covered my favorite type of night photography: cities and architecture. Definitely my favorite thing to shoot around the world after dark but I will wait till a round two of this article for that. But one thing is for sure. You need good gear to produce good results and I sure love using Really Right Stuff gear. For so much of my travel and stock photography all over the world, and everything from car trails to star trails, to monks and ancient temples, they have helped me capture so many powerful images. Almost all of the above images used Really Right Stuff gear and what a difference it is compared to the pretty lame stuff that we had to use years ago. They really have been a game changer! Nothing beats great gear! but don’t forget…. 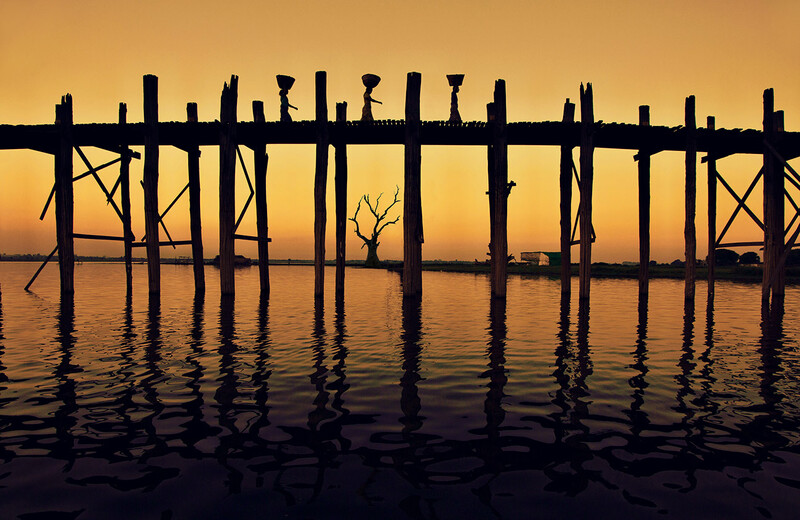 When the sun goes down…. Don’t put that camera away! Fantastic pictures! And very good tips, can’t wait to try some! 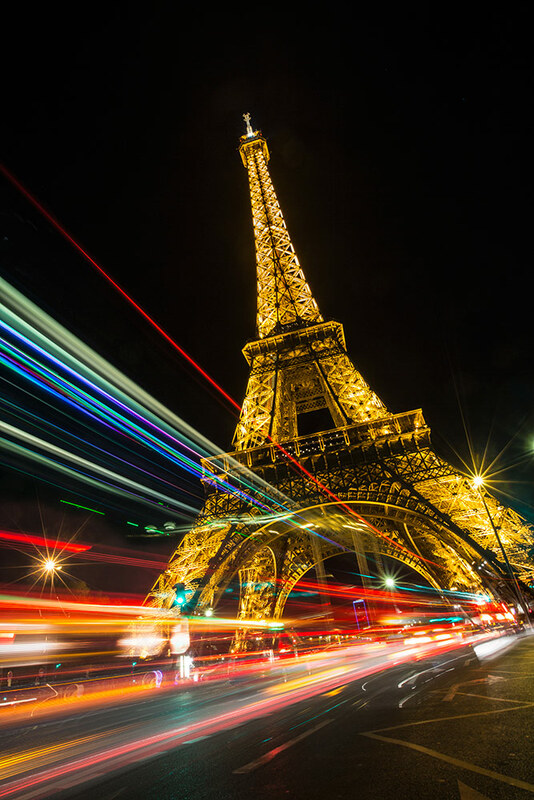 It’s all about the light Eric….even after dark! That is when the fun begins…and so many others put away their camera gear. That is when I can’t wait to play! Go have fun out there..
Amazing pictures! Randomly stumbled across your website while looking for some Japan article online :p The places you visit look so breathtaking; I hope to visit them someday. Your blog and pictures really keep me entertained during free periods in school. looks like you might know what you want to be when you get older! Same as me….a photographer. Glad you like what I do and hopefully you will keep shooting and traveling as the more you work at it…the easier it gets!! Such a nice note Maxwell. Thank you for the kind words!! Nothing like school and hopefully you will get to some of these places with a camera! !